Just a reminder since today is the last day to enter this one 🙂 Click here to visit the Dial facebook and like them. Then on the “Dial Samples” tab, click “Enter Now” and fill out the form. 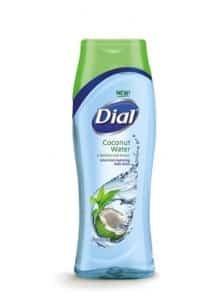 100,000 winners will score a sample pack of DIAL AntiOxidant& Coconut Water Body Wash. You can enter as many times as you’d like through September 10th. Good luck!